David Kirke, Governor of Newfoundland from 1638 to 1651, was the original bearer of the arms, which later faded into obscurity. In 1893, D.W. Prowse published A History of Newfoundland, in which he printed a copy of the Newfoundland arms. Prowse erroneously attributed the armorial bearings to John Guy. The Newfoundland Post Office perpetuated his error by issuing a 1910 two-cent stamp depicting the arms and indicating they were issued to the London and Bristol Company, which financed Guy's colonization attempt. The Newfoundland arms were rediscovered by London archivists after World War I, and in 1928 became the official coat of arms of the Dominion of Newfoundland. It has been in use ever since, despite the changes in Newfoundland and Labrador's status from Dominion to a colony run by the Commission of Government in 1934, and subsequently to a province of Canada in 1949. The Coat of Arms Act (RSNL 1990, chapter C-20, as amended) provides the current legal authority for the use of the arms. Newfoundland's caribou herds are represented by the elk in the crest. Two silver unicorns and two gold lions occupy opposing quadrants of the shield. This part of the Coat of Arms recalls the royal beasts that support the arms of the Monarch, the lion represents England and the unicorn stands for Scotland. 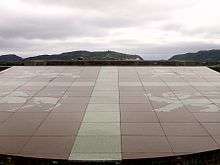 The two Beothuk supporters refer to the indigenous population of Newfoundland. Quaerite prime Regnum Dei, quoting Matthew 6:33 from the Bible, "Seek ye first the kingdom of God". ↑ "RSNL1990 CHAPTER C-20 – COAT OF ARMS ACT". Earl G. Tucker, Queen's Printer. 2006. Retrieved 6 September 2008. 1 2 "Heraldry and Flags: Newfoundland and Labrador Heritage". Memorial University of Newfoundland. Archived from the original on 29 August 2010. Retrieved 6 September 2008. ↑ "The Arms, Seals, and Emblems of Newfoundland and Labrador". Memorial University of Newfoundland. Archived from the original on 4 March 2015. Retrieved 4 March 2015. ↑ "Coat of Arms Act". Queen’s Printer, St. John's, Newfoundland and Labrador, Canada. Retrieved 4 March 2015. Wikimedia Commons has media related to Coat of arms of Newfoundland and Labrador.